Dad was extremely proud to be a beekeeper associated with the Ealing Beekeepers, he will be pleased that John Chapple told the bees and tied the black ribbon around one of his hives. I am sure you all have fond memories of him, it would be good for you to share them on here as my mum will take comfort from your memories. Thanks, Fiona. Hi Fiona, I’m pleased to share memories of Alan here and hope there will be more to come. His hives are doing well at the apiary. All the best to you and your family from Ealing Bees. This is Vanessa Tyler – Alan’s eldest daughter. I am pleased to report that after moving to Cornwall in late 2016 I have now taken on beekeeping using Daddy’s equipment. 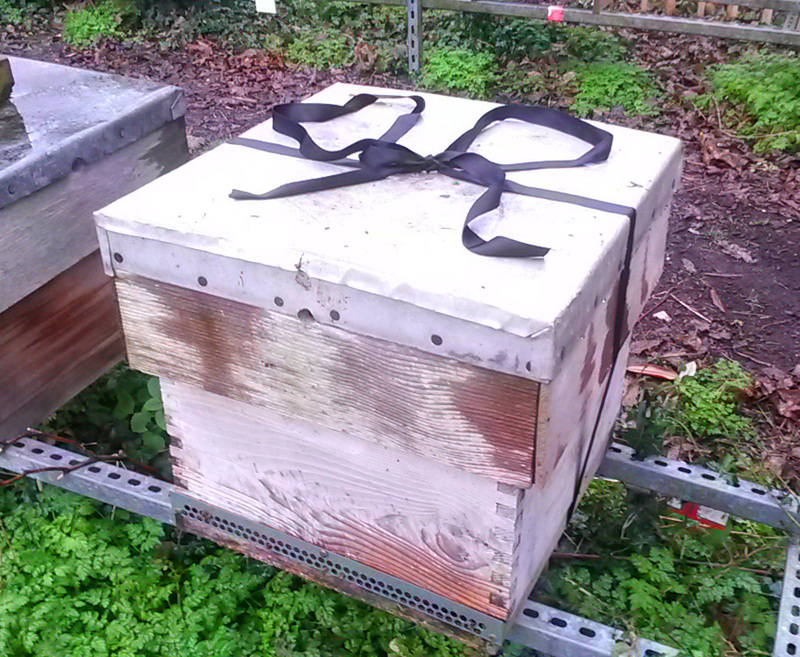 We got two colonies of Cornish speaking bees a few weeks back and so far they are coming on really well. we have lots of fields around us with gorse, wild flowers and blackberries and the ladies are busy bringing in lots of pollen. We are exhibiting some of Dad’s photos posthumously this week at the Royal Cornwall Show and also his “bee hoover”. He should have patented it when he first made it!! Please send our regards to all the Ealing & District Beekeepers and rest assured that the apiary tradition is being kept in the family!